Have health questions after hours? Simply call (402) 443-1448 from 5pm-7am Monday-Friday and 24 hours on Saturday and Sunday. This service is available to SMC patients and employees. 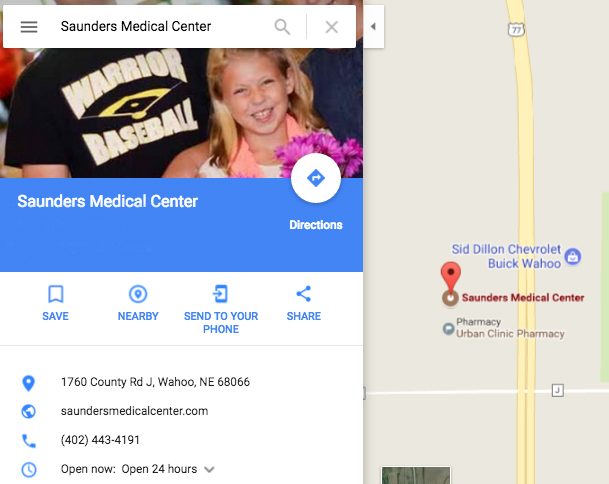 We are located just inside the main doors of Saunders Medical Center on your right. Walk through the doors and you'll see our smiling faces ready to greet you!